Is there a catch do we hear you ask? Nope! 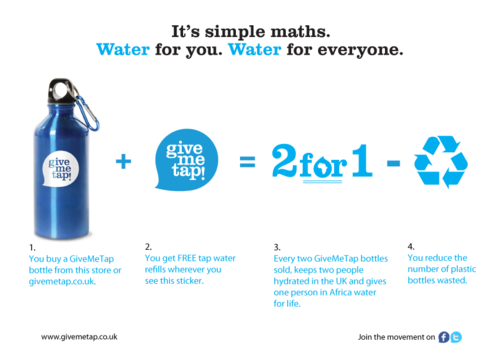 Each bottle purchased keeps you hydrated and contributes towards funding sustainable water, sanitation and irrigation projects in Africa, you get to express your love for our beloved Earth by reducing plastic wastage and amazingly, you’re saving money - cha ching! As a social enterprise, our focus is to help make your lives and the lives of those less fortunate a whole lot better! It’s why we started GiveMeTapand its why we love other social enterprises who join this mission!